Diamonds are not just a girl’s best friend, but for decades they were a dictator’s best friend. Despotic leaders used the income from the lucrative trade to fuel savage conflicts in Africa, while those buying the shiny gems thousands of kilometres away, had little idea what they were funding. Alex Yearsley, who is today’s guest on Sophie&Co, has been leading a campaign against the ‘blood diamond’ trade. Sophie Shevardnadze: Alex Yearsley, leading expert on rough diamonds and conflict resources, welcome to the show, it’s great to have you with us. Now, Alex, a decade ago you’ve said you still can’t go into a jewelry store and ask for a conflict-free diamond. Is this still true today? AY: The conflicts in Africa – Angola, Sierra Leone, Liberia, the DRC, which were funded by diamonds have largely stopped, there’s only one real conflict currently funded partially by diamonds, and that’s in Central African Republic. So, combined with Kimberley process and various controls put on by the diamond trade that deadly trade, thank goodness, is stopped. SS: So, if I go into, let’s say, Tiffany’s for example and buy a ring – can I be certain the diamond on it did not fund a bloody conflict? AY: With Tiffany’s in particular you could be. There’s a very good reason for that, as CEO of Tiffany’s Michael Kowalski was very proactive, before actually the issue of blood diamonds really became public, in trying to halt the purchase of those diamonds. They’ve put a lot of controls in place internally. Other jewelers were less concerned and less interested, but Tiffany’s is definitely one of the market leaders in that. SS: What about diamond giants like De Beers? They were deeply involved in blood diamonds trade ten years ago, like, you’ve said that as well. But what about today? De Beers insist their diamonds are 100% conflict-free – is that true? AY: It’s an interesting question, because De Beers used to maintain a very large and extensive stockpile of rough diamonds. Now, within that stockpile, undoubtedly there would have been diamonds that came from a variety of conflict areas. The main reason De Beers can be so sure that they haven’t got any is that they stopped the outside buying operations. They’ve stopped sending dealers in countries, such as Liberia and Sierra Leone, Nigeria and Angola, to buy those diamonds. SS: So you’re saying the percentage of blood diamonds on the market is minimal right now. What percentage of diamonds are blood diamonds? AY: You’re talking way under one percent. SS: I want to talk a little bit about you and the work that you’ve done in the field – I mean, looking at… it sounds kind of romantic, but you may correct me: you were conducting field and forensics investigations into the illicit trade of natural resources and weapons across Africa. In what parts of the continent exactly? AY: Really, we got taken where the wars were, but also the trading hubs. When I was working for NGO Global Witness, we started in Africa looking at conflict in Angola, which was largely funded by the rough diamond trade on the rebel side, UNITA, and also a lot of weapons coming in from Eastern Europe and other countries. This was a Cold War proxy war essentially between Russia and the U.S., fighting for political control over the country. But other countries – Sierra Leone and Liberia, and Guinea, and a lot of weapons were flowing in from many different countries. It wasn’t just Eastern Europe – it was China, it was the U.S. It was even the UK. And, again, many different nationalities of diamond dealers, buying and selling, trading diamonds for weapons. SS: But what were, like, the biggest cases you’ve uncovered? AY: The previous cases, the biggest and most well-known case will be that of a former president of Liberia, Charles Taylor – he ran a proxy war in Sierra Leone, financed by diamonds. He supported, armed and funded, the rebel movement there, the RUF, who committed terrible atrocities, and there was a variety of diamond dealers that were flying in and arranging deals with these rebel groups. They would do direct deals for weapons. Actually, plane loaded with weapons were flying in, with AK-47’s, RPG’s, you name it. In exchange, parcels of diamonds would be given. It was very much like the film, it’s exactly what happened. SS: Did in any case the authorities assist you in your investigations? AY: A number of governments was… frankly, actually, no. Governments were very reticent to help. Sometimes, yes, local governments in Sierra Leone would assist with information, sometimes you would find individual ambassadors who were in the region, who would try and help you with information, they would provide you names of individuals that they may have been looking at; but most of the time, we were providing information to them, to say, we’ve done an investigation and we found out several names of these diamond dealers, and we would hope that national authorities would start looking at some of these individuals and bring prosecutions and arrest these people. SS: Now, you had to go undercover. What’s that like? What’s undercover work like? AY: In the diamond trade it’s quite difficult, unless you are a real expert on diamonds you’ll get found out quite quickly. So, some of the undercover what we’ve done has been on other commodities - less expertise is needed, so, that started in Cambodia, when we were dealing with Khmer Rouge and timber trade. SS: But who did you pose as? SS: A trust of whom? I’m just wondering, who exactly did you have to deceive, and why? AY: Some of the RUF commanders, some of the other diamond buyers. In Angola we were trying to, obviously, extract information from diamond buyers, from government personnel, from some of the military. So, you would be setting a bit of the “fool’s trail” and also showing interest and trying to maybe, buy diamonds – but again, that really didn’t work, because unless you could hold a diamond in a correct way, you could value it – you would be rumbled, and the risk was too much. So, a lot of the time, we relied on the good will of the industry, because there were a number of people, in the diamond industry, who didn’t like what was going on and they would assist and help us and give us information. SS: Were you ever in real danger? What happens if your cover is blown? SS: But were you ever in that situation? AY: Occasionally, yes. I had colleagues that have been arrested, they’ve been put in jail…mainly that was, I hate to say this, but probably, their own fault. They were carrying information that they shouldn’t have been, they didn’t prepare well, or they took one risk too many – and sometimes it’s a good idea not to really wind up the people you’re trying to investigate too much, but as organization, and as individual, you would never put yourself in enough danger that you would get yourself in that situation. Sadly, I’ve had friends in journalistic community who have died in battle situation, and the quest for information and the story really shouldn’t get in the way of your own preservation. SS: Alex, can you take me through this process – how does this work? How does a diamond get from an armed rebel-run mine onto the neck of a socialite? AY: Very-very simply. Some of the diamond mines in Angola were pretty big industrial operations. UNITA controlled vast swathe of the country, and they would have international mining companies, diamond dealers flying in on jets and they would have very sophisticated business deals set up, buying tens of millions of dollars’ worth of diamonds on a monthly basis; mining equipment will get flown in from South Africa, and these were very sophisticated mining operations. Really, it’s a very short route to the market. In Angola you would fly the diamonds, say, to Switzerland, then they would get into Antwerp, and in the good old days of blood diamond trade, it was really very obvious. Diamond traders in Antwerp, they used to put UNITA flags in their windows to advertise that they would happily buy UNITA origin diamonds, and from there, they would just become polished and enter into jewelry market. SS: Now, Alex, even if a diamond didn’t fuel some civil war, the miners who find it, you know, they may have been working in horrendous conditions. Like, recently, information has surfaced about the beating and torture of miners in Angola. Would you also class these as “blood diamonds”? AY: These clearly are diamonds that have not been mined in a way that we would want them to be, and this is where we get very technical about the legal definition of what is a blood diamond and what isn’t a blood diamond. The Kimberley process, which was established after the furor about blood diamonds, attempts to certify all rough diamonds; and within that, there’s very limited legal definition. Now, that does not cover diamonds that are mined in a country under horrendous conditions, where human rights abuses are prevalent, where the military forces or the police of that country are abusing miners. Sadly, this is happening in Angola still. Currently, there’s a trial over very prominent Angolan journalist Rafael Marques, who’ve published a book, detailing, how Angolan security companies were routinely beating miners up, stealing diamonds, torturing them, in a number of cases leading to many-many deaths… and the generals that run those companies decided they didn’t like what he wrote, and he’s being sued at the moment. So, there are a lot of diamonds, alluvial diamonds that are mined around the world, in horrendous conditions, and if we went to a mine site and saw how they were mined, it would probably challenge your quest for a diamond. SS: The daughter of Angola’s president is said to have acquired a large stake in Swiss jewelry company. For instance, in the case of the daughter of Angola’s president, is anything really being done? Does the diamond industry not care, working with despicable, dictatorial regimes that damage its image, or its hold on Western consumers is just way too strong to care about that? AY: Sadly, there are significant number of diamond dealers and diamond companies that really do not see the problem with working with president’s daughter or president’s son, or even president’s ministers. They say it is business as normal, they don’t mind if diamond mines are run by the military. They don’t have, you know, business ethics, to really understand that that could be a problem. As far as consumers, sadly, the consumer’s interest is really “how much is it going to cost me, what’s the price?” – so, it’s a problem that will remain, I don’t think the diamond industry is really going to put the controls in place, the ethical controls in place, to stop buying diamonds that are associated with corruption or even human rights abuses. SS: But why are diamond mines run by the military? AY: Well, very simply, it’s a very simple way of making a lot of money very quickly. I mean, in Angola in particular, it’s down to the politics, you’ve got a vast army with nothing much to do now – you need to employ them. But also, it’s a reward mechanism for those generals. You need to keep them happy, on your side, they control large amount of armed men, and so, these various military forces are sent into the diamond mines to either provide security, but also, sometimes, they even do the mining themselves. At the diamond mines in DRC, in Angola in particular, the security forces and the military work hand-in-hand and a top layer of generals who are making tens of millions of dollars on an annual basis – all of which end up in real estate in London, or in Monaco, or in New York. SS: Now, Alex, you’ve brought up the Kimberley process couple of times, you were working for the Global Witness NGO that was instrumental in initiating in 2000 the Kimberley process, the certification scheme for rough diamonds… However, the NGO itself left the process a couple of years ago. Why is this system failing? AY: Sadly, and regrettably, the Kimberley process was not established to deal with many issues around the whole diamond trade: human rights abuses, labor conditions, child miners, it simply was not made to do that. So, for the NGOs to then try and re-open the issue… I think they made a strategic mistake; they fell into a trap, probably quite carefully laid by a number of African governments to try and weaken the Kimberley process. But also, it was slightly disingenuous of the NGO’s. We knew, when we were negotiating, that human rights issue could not be brought in – so, I think, they made a bit of a mistake there. SS: But, I mean, is it possible to find a government-led solution to this problem once and for all? AY: It should be, and there’s no reason why it couldn’t be, but unfortunately, governments serve their national self-interest, and if you have governments that are tightly controlled by a very small group of people, often dictatorial governments – then, they will not simply…you know, why would you voluntarily give up your power and access to wealth? Sadly, governments do not take that responsibility seriously enough, and it’s an age-old problem that will be very hard to deal with. So, the NGOs are absolutely right, they have to keep pushing governments to clean up their human rights abuses, they have to stop their security forces from torturing diamond miners, from killing diamond miners, and that is a vital role that civil society must play; but doing it in the Kimberley process and threatening that maybe was not the best way to do it. SS: Yeah; I’m just thinking, you know, there’s so many loopholes to this statement that most of the diamond market right now is blood-free, because you’ve mentioned also situation in Zimbabwe, whose diamonds are also marketed as blood-free – but, well, yeah, there is no civil war, but profits from these gems actually go to support dictatorial government, definitely not for the good of the public, right? How would you classify this product? Should these diamonds also be banned from the market? AY: From a personal point of view – I want to say “yes”. As a consumer, if I was going to be buying a diamond for my partner, knowing that it’s a diamond that has funded human rights abuses in Zimbabwe – absolutely not! And, really, it’s up to the industry, they’ve got to put these controls in place, they’ve got to say “No” and stop buying these diamonds; the diamonds have got to be used for development, they’ve got to be used to fund social projects – that can be done. The question is, in the layers above that control the mines, that control the politics of the country – they are the problem, and diamonds really should be used for benefit, not destruction. AY: It’s Western, it’s Eastern, it’s Chinese, it’s from Singapore, you know, it’s from many-many countries. It’s simply greed. SS: So, shouldn’t those countries also be getting bad press, and not just the African warlords? AY: Oh, I think they’ve got a reasonable amount of bad press. I mean, take the recent case of the HSBC’s leaked documents, banking documents, where it showed substantial number of diamond dealers have been banking in HSBC and some of those private bankers were in full knowledge that a lot of these diamond dealers have questionable reputations, and yet, they were still happily letting them bank and put their money on those accounts. And I think, Switzerland has taken a fair portion of the blame for that, as has HSBC, but pretty much every bank that has a diamond interest has clients like that, and it’s a long way to go before any of these issues could be solved, and the diamond industry and governments that host some of those diamond buyers should really be held responsible. SS: You know, Al Qaeda and Hezbollah are now reportedly cooperating with African warlords, using diamond trade profits to channel money. Does the phrase “funding terrorism” have more power, maybe, to move governments into action? AY: The Hezbollah connection is actually quite old, and it really goes back to the origins of the Lebanese civil war. You had a vast diaspora of Lebanese living across African, who had been there for many years, and they were particularly skilled and very good at buying and trading diamonds. So, that’s been around for a very long time and it’s still ongoing across Congo, Liberia, Sierra-Leone. There are a number of families that have strong connections to Hezbollah military groups and networks. The Al-Qaeda pretty much disappeared from the diamond side of things, and certainly there’s no knowledge that I’ve come across yet or reports or anything in relation to ISIS. We would have hoped that the governments would have taken it more seriously; they did for a bit, when we produced evidence that Al-Qaeda had moved into the diamond trade as a financing mechanism and as a money-laundering mechanism. AY: Yes, I mean, it’s bit of an oversimplification, just to say Taylor, CIA…Taylor had a link with the American intelligence community, and Americans had strategic reason for doing that, they wanted to get rid of Samuel Doe, who was pretty nasty dictator, who was massacring his own population, and they needed to put somebody in who would be more America-friendly. And again, this really goes back to the Cold War, America had its largest listening base in West Africa, in Liberia. Russia had its largest listening base in Guinea, next door. So, a lot of competing interests and Doe was making overtures to Russia at the time. The famous story is that Taylor actually was led out of jail in America by the CIA. There seems to be pretty strong evidence that he was. What he then went on to become – I don’t think you could have predicted that, the fact that he turned into a psychopath, massacring tens of thousands of people and instigating war across the region. You wouldn’t have had a crystal ball to be able to predict that, and to be fair, the Americans did put a lot of time and effort to try to get rid of Taylor; but also, at the same time, there were elements within the American intelligence community that, you know, kind of didn’t want that dirty washing to come out and tried to stop some of it. SS: But, tell me something, are diamonds the only example of this kind of problem? What other resources are used in the same way? AY: Across Africa, there is a number of resources that have been funding and contributing to conflict, particularly in the DRC; we have coltan, we have gold, we cassiterite, but also timber. Timber fueled the Khmer Rouge insurgency; it has contributed to conflict in Liberia, in particularly: Charles Taylor was very keen on his logging companies and the amount of revenue that they brought in for him, and was directly involved in arms purchases. At the moment, a lot of the focus is on gold, particularly in the eastern DRC, and how that is controlled by various rebel militias; but it goes from charcoal – you have rebel movements… anything you can tax, anything that you can make money on – rebel movements will try and get hold of it, try to control it. So, it’s a very difficult issue to deal with, and to try and control it. SS: Alex, just really briefly – we keep hearing how diamonds, timber and oil are funding civil wars, but isn’t it rather the other way around, aren’t civil war fought over such resources? AY: Civil wars, absolutely, are fought over resources. Rebel groups strategically attack mining sites to get hold of those areas. It’s a bit of a chicken-and-egg situation in that it works hand in hand, so, yes, civil wars have been fought over the control of oil, in particular, and history has shown that we have many years, particularly in Cold War period, with you know, various governments, supporting rebel factions and some governments to get control over resources. SS: Thank you so much for this interesting insight into the world of blood diamonds and not only. 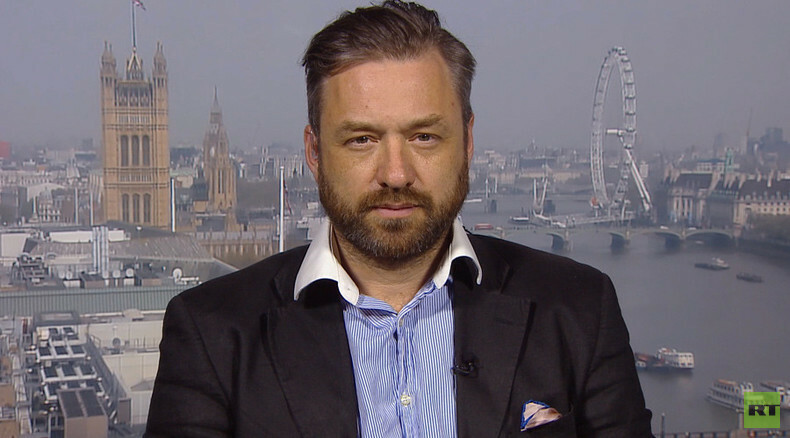 We were talking to Alex Yearsley, an investigator who has led the global campaign against blood diamonds, talking about how minerals are contributing to abuse and conflict worldwide, and why governments still haven’t found a solution to the problem. That’s it for this edition of Sophie&Co, I will see you next time.